Automatically download album details and imagesLike artist, title, label, song list & cover art. Just search our huge online music collection ... ... by artist & title, by barcode or by inserting musics. 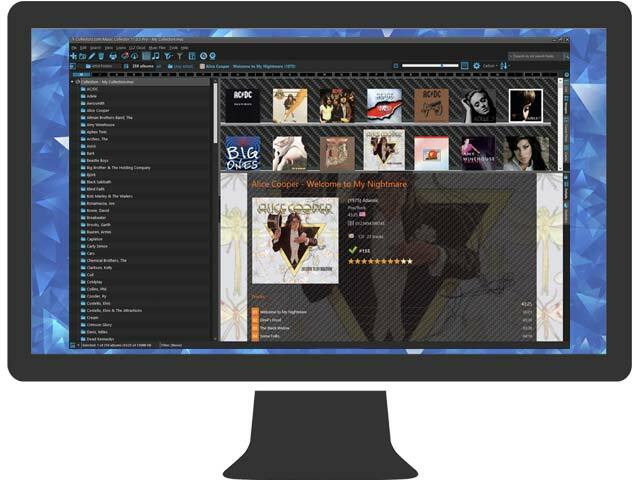 Music Connect is subscription software, costing USD $29.95 per year. 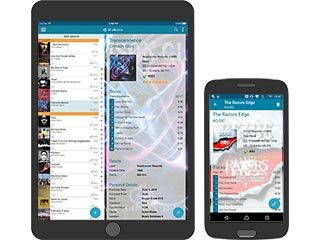 TIP: Visit our CLZ Shop for a bundle deal with the CLZ Music mobile app. A Music Collector License costs USD $59.95 and includes a 1-year Service Plan. 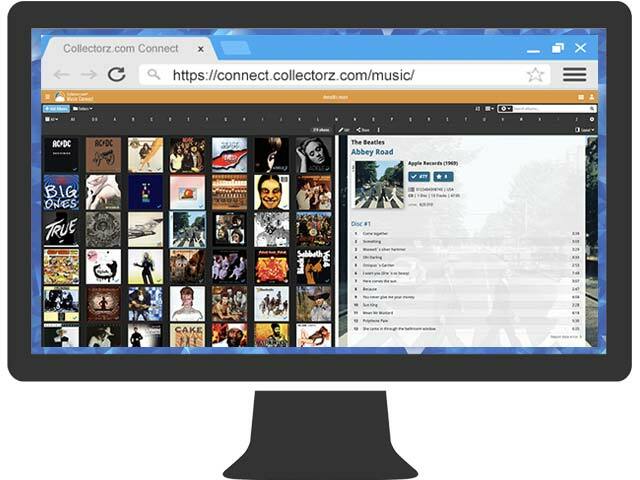 Synchronize your music data between the desktop software, mobile apps and the Connect web-app. Always have an online backup of your music database. Thanks to your program(s) I have just finished cataloging my entire music collection. On other programs I had the CD's but I never got around to the tapes, and records. It took my 3-4 months but it's finally done. 1358 items over several formats. Awesome app and great technical support! At first I bought the app in the Google Play Store, but something went wrong with the transaction. Then I contacted Collectorz.com and they respond quick and adiquate (the same day). Many thanks for that, support! The app is easy to use, and has an enhanced online database, so you don't have to enter the information from each CD manually. This saves a lot of time if you have a very large music collection! Music information can be found by:1) title and/or artist2) barcode3) cat. no. There's also the possibility to sync your database and save it in the Collectorz.com cloud. I actually just loaded 86 of my vinyl albums and have about 100 more! Then my CDs. Great app and I just upgraded. Thanks for a good piece of software to catalog my music collection. I'm a big vinyl fan having grown up with my collection. Still have every album I ever owned. Ingenious "database in your pocket"